For BumbleB & me it has been the best year we have ever had. Physically we have both changed and everyone has noticed. Bumble B has been evolving this year. 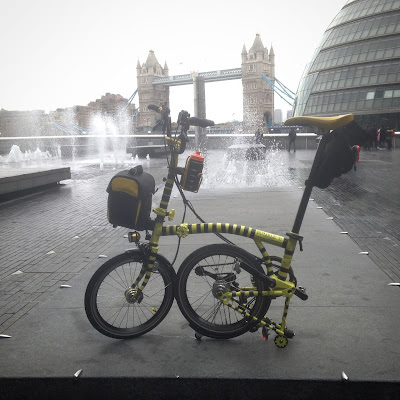 When I first got Bumble B 4 yrs ago, I was thinking I would only be commuting to work and maybe the odd London event ride like SkyRide etc when they happened. 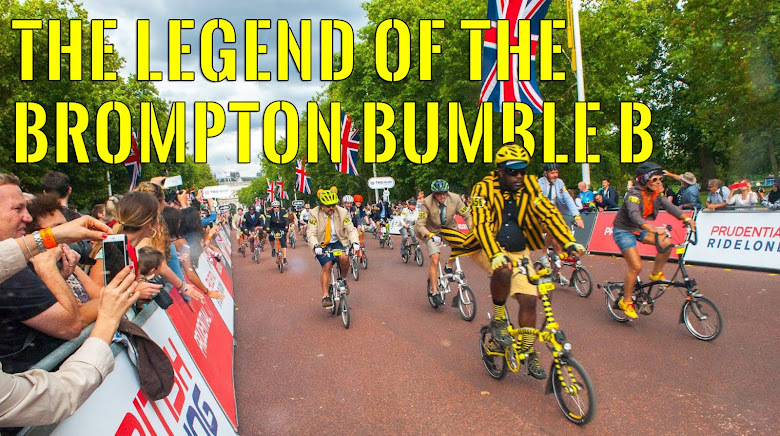 But being co founder of the London Brompton Club I found I was doing more than just commuting & small London based events. Bumble B has had several major upgrades this year. Converting from 3 gears to 6 gears with the Brompton BWR 6 Speed hub & Shimano PD-M540 pedals being the biggest. I am now starting to eat hills and even renamed Box Hill to Cardboard Box Hill. These upgrades have made my cycling more efficient because in 2014 I will be doing even more bigger & longer rides. So as 2013 comes to a close, 2014 looks to be even bigger and better for the Legend. Hi, I have been following your blog and Mr O's blog closely and I love it. When you say 6 speed BWR hub, does it mean 6 in total (3 x 2) or is it 6 within the hub itself?